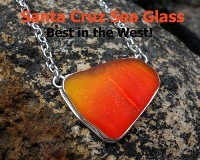 Santa Cruz Sea Glass: The BOOK is SOLD OUT! 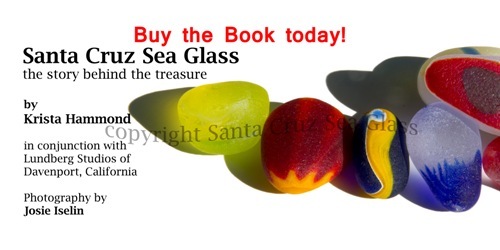 Santa Cruz Sea Glass, the Story Behind the Treasure: For all those treasure hunters who truly love sea glass and a good story - this book has it all! Over a year in the making, written by Krista Hammond featuring sea glass photography by 8 time author/photographer Josie Iselin, developed in conjunction with the renowned Lundberg Studios, with stunning photos of Lundberg art glass creations by Paul Keitz Photography. 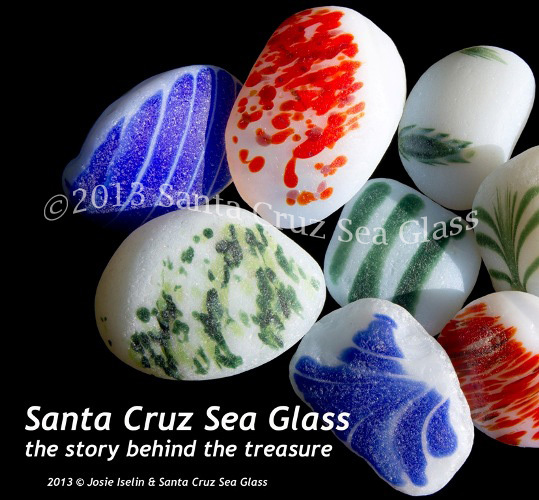 Santa Cruz Sea Glass new book featured in the Wall Street Journal! 128 color pages filled with a detailed story that captures one of worlds rarest sea glass collections. I created this for the love of sea glass from Davenport. Book comes with a color hard cover and matching slipcase too! I am curretly SOLD OUT of copies - but email if you are interested! “This lovely book showcases the best of exotic sea glass. Written by Krista Hammond in conjunction with Lundberg Studios of Davenport, Calif, “the story behind the treasure” gives context to the unique beach glass found off the coast of Davenport. This is a must read for anyone interested in sea glass. The photography by Josie Iselin is simply stunning. The straight forward language of the text delves into the history behind each piece of sea glass, with delightful anecdotes along the way of how each piece was found. Paul Keitz has photographed the source art glass that was hand blown in Lundberg Studios—before it was smoothed and tumbled by the ocean—to illustrate the full life-cycle of how local art glass has become sea glass. The book captures prized Lundberg pieces in what is perhaps the world’s best collection of Davenport sea glass. The combination of beautiful pictures and cogent writing makes this book a fascinating read. We rate it four stars.” – Jess Field, CEO, Rogue Lion Press.